Tiger Woods has withdrawn from the Arnold Palmer Invitational due to an ongoing neck strain. 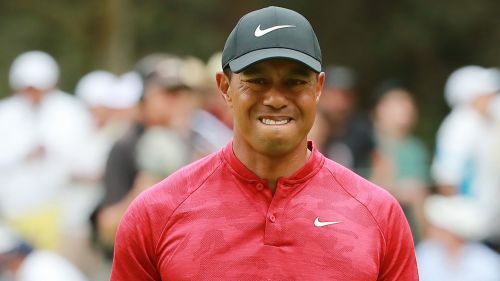 Woods intentionally skipped the Honda Classic last week to rest and prepare for the Palmer, which he recently added to his schedule, and eventually The Players Championship, beginning on March 14. But the 43-year-old was forced to pull out of the former competition on Monday, announcing his injury issue on Twitter. "Unfortunately due to a neck strain that I’ve had for a few weeks, I'm forced to withdraw from the API," Woods posted. "I’ve been receiving treatment, but it hasn't improved enough to play. My lower back is fine, and I have no long-term concerns, and I hope to be ready for The Players [next week]. "I'd like to send my regrets to the Palmer family and the Orlando fans. Its connection to Arnold makes it one of my favorite tournaments and I'm disappointed to miss it." 1) Unfortunately due to a neck strain that I’ve had for a few weeks, I'm forced to withdraw from the API. I’ve been receiving treatment, but it hasn't improved enough to play. My lower back is fine, and I have no long-term concerns, and I hope to be ready for The Players. 2) I'd like to send my regrets to the Palmer family and the Orlando fans. Its connection to Arnold makes it one of my favorite tournaments and I'm disappointed to miss it. Woods has finished three tournaments this season, placing in a tie for 20th in the Farmers Insurance Open and in a tie for 15th in the Genesis Open. His best finish came at the no-cut World Golf Championship Mexico Championship, where he finished joint-10th in a star-studded field. At last year's Arnold Palmer Invitational, Woods finished tied for fifth and used that momentum to build an impressive comeback year. The annual event at The Bay Hill Club and Lodge will feature defending champion Rory McIlroy, Justin Rose and Bryson DeChambeau​, with Phil Mickelson, three-time major winner Brooks Koepka and 2016 winner Jason Day in the field.